What is a prank call? A prank call also known as fake call, crank call or hoax call is a mischievous phone call made to trick someone for entertainment or amusement purpose. It is a practical joke played over the telephone. A prank call generally includes two people. A prankster, who makes the fake call and a person who receives the crank call. The idea behind making a prank call is to have a good laugh by saying random funny things (not derogatory) to friends, family or random people on phone. A fake call can also be made by changing voice on call so that the person being pranked doesn’t recognize the voice of the prankster. Prank calls can be carried out mainly in two ways; pre-recorded or live. There are several mobile apps today that allow making prank calls in both the aforementioned ways. Pre-recorded Prank Call – If you are short of prank call ideas then pre-recorded pranks are the best for making fake calls. 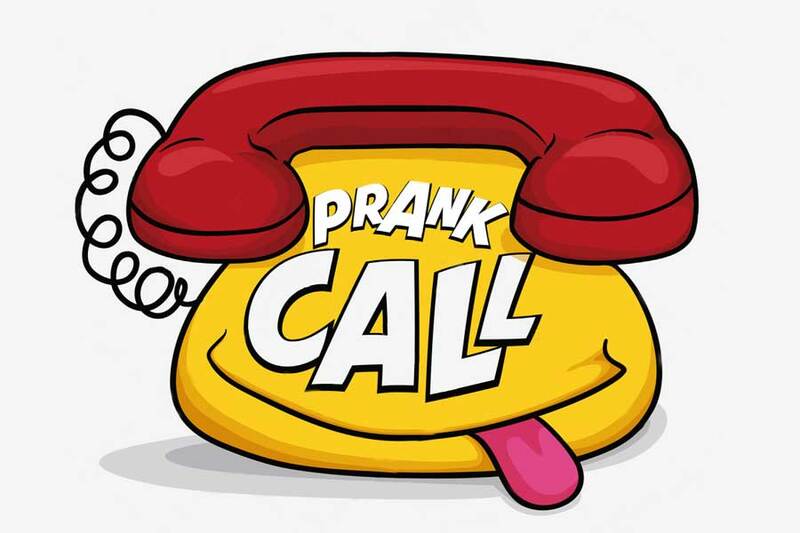 All you have to do is download a prank app, select a pre-recorded prank & call the person you want to prank. Prank call idea – A pre-requisite for making a real-time fake call is a prank call idea. The simpler the idea the easier it will be to make a crank call. Hide identity – This is an important element since there is no point calling someone & getting caught, so maintaining anonymity is essential for making a successful prank call. Change voice on call – Once you have successfully hidden your identity it is important that you tweak your voice as well if you wish to make a successful prank call. Again, the point is to keep your identity under the wraps. Now, there are many real-time voice changer on call apps. One of the best voice changer on call app is Magic Call. It allows you to change your voice to female, male, cartoon, etc. Magic Call also has backgrounds that you can play on call & give the illusion of a different ambiance. In addition, there are sound emojis like kisses, clapping, etc., in the app that you can play in between the prank calls & make them even funnier. What’s the icing on the cake? You get free credits (calling minutes) that upon first time registration. Once you have exhausted the same, you either watch videos & ear credits or buy packs. Prank calling through Magic Call app is the cheapest way to make calls & have fun. What does Magic Call – The Ultimate Voice Changer App do? Ari on What does Magic Call – The Ultimate Voice Changer App do? Admin Blog on What does Magic Call – The Ultimate Voice Changer App do? ArletteJuicy on What does Magic Call – The Ultimate Voice Changer App do?